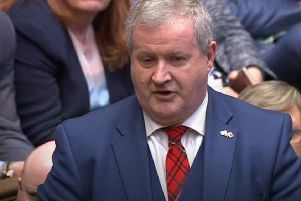 The irony of Alistair Carmichael’s admirable, decisive, intervention in Parliament on Evel will surely not be lost on those conducting a witch hunt against him in Orkney and Shetland. He has proved to be a principled, intelligent MP both at a constituency and national level, and surely some of his detractors can now back down and save themselves their £30,000 “whip round” for legal fees. He has also let David Cameron off the hook by getting his “quick fix” Evel promise of 19 September kicked onto the long grass of UK federalism. Rather than face an embarrassing U-turn the Prime Minister can now say: “I did try, but Parliament voted against it.” Who can argue with that?